Update: Game has now officially gone into administration. The company issued a statement saying, "Further to this morning's announcement of the suspension of trading in shares of GAME Group plc, the board has concluded that its discussions with all stakeholders and other parties have not made sufficient progress in the time available to offer a realistic prospect for a solvent solution for the business. Trading shares in game retailer Game have been suspended after the company admitted that it can't work out how much the company is worth. That's because it isn't worth a great deal, with Game's statement announcing that its board is "of the opinion that there is no equity value left in the group". It's been a tough old week for Game, which has seen many a headline scream "Game over" as the retailer continues talks with "a third party funder" and desperately seeks a buyer. But Game's inability to stock triple A titles like Mass Effect 3 – which, let's face it, kind of undermines its position as a seller of games – has driven ever more customers away to rival retailers like megastore supermarkets and online stockists like Amazon. The situation isn't helped by the fact that Game has bills stacking up, reportedly including a £21 million rent payment due on Sunday and £12 million worth of wages to pay at the end of the month. 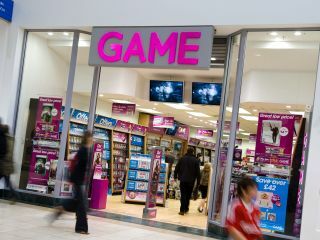 One report suggests that Game will go into voluntary administration this weekend, allowing it to ditch sister-brand Gamestation and spin off a new company of around 300 Game stores. Despite the financial turmoil going on behind the scenes, shops are still open for business and its 6,000 staff still have jobs – but for how long that will be the case remains to be seen.